It has been confirmed that Tottenham’s new stadium will not be ready to host the derby, which means teams will play at Wembley. Unai Emery was having a press-conference ahead of Huddersfield match, when he was asked about North London derby to happen in March. Arsenal boss had a hilarious response for that question. “When? In March? Pfff…. 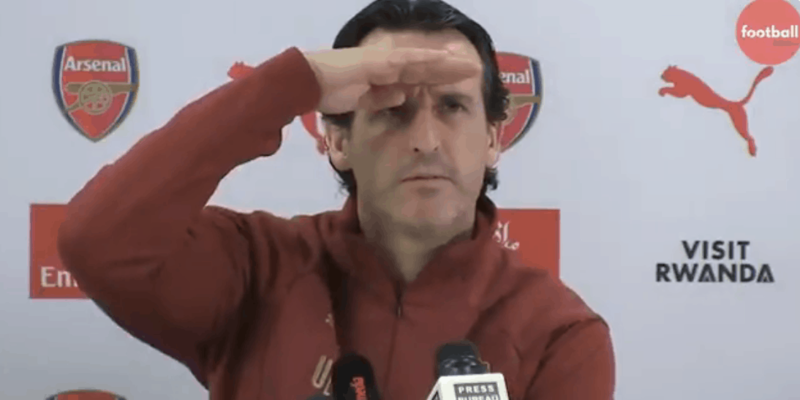 You are asking me before Saturday against Huddersfield about March?” Emery said.